Snorkelling is one of the most popular activities for visitors to Koh Chang. The best snorkelling sites rival those you’ll find in the south of Thailand. The visibility might not always be as awesome but you are guaranteed to see a lot of large schools of fish. This is an activity that definitely should be on your itinerary. But if you have younger children, bear in mind that most snorkeling is off the boat – rather than from the shore. So they have to be comfortable swimming in deep water. If you just want your kids to be able to walk into the water from the beach and see some fish then a half day trip to Koh Wai would be a better option. There are various kinds of boat trips available, all of which include some snorkeling. But you’ll need to think about a few factors such as how much or little time you want to spend on the boat compared to in the water, what type of food you require – a western buffet or regular Thai food, how much you want to pay etc . before you book a trip. Pick up a few leaflets from tour agents first, don’t just go with what your hotel recommends – as they’re going to push the more expensive trips, with higher commissions, first. Plus the reception staff have probably never been snorkelling here. The best snorkeling spots are the small islands to the northeast of Koh Rang – a large uninhabited (except for a few National Park rangers) island south of Koh Chang and west of Koh Mak. You’ll see names such as Koh Lon, Koh Yak, Koh Thonglang mentioned on adverts. Boats will often also stop at Koh Wai, which is a good spot for snorkeling off the beach and feeding the fish from the pier or whilst standing waist deep in water. In High Season, especially New Year or long weekends, when a lot of Thais are visiting the islands, the boats get packed out. It’s better to delay your trip for a day or two unless you enjoy being squashed into a seat with nowhere to go during the ride to the islands and then sharing a relatively small snorkeling spot with literally hundreds of others. There are a dozen boat companies offering snorkeling trips. You’ll see most full day trips advertised as ‘Four (or Five) Island Tours’ and they’ll be a list of small islands which you will visit. With the exception of Koh Wai, these small islands, so small you can snorkel around, are all located of the north and east of Koh Rang. 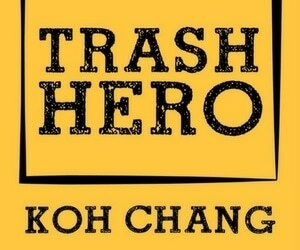 Koh Rang is a large island that is home to a National Park Ranger Station. Intrepid adventurers can also camp there and there are four bungalows that can be rented form the park authorities. Many trips also include a stop at ‘Monkey Rock’ which is an area on the west coast of Bangbao peninsula where monkeys come down to the sea when boats pass by in the hope of getting thrown some fruit. The boats will pull up just a few metres in front of the cliffs so passengers can see the monkeys running around. For full day trips you’ll be picked up from your resort around 08:00 – 08:30 and taken by pick up truck taxi to Bangbao. The boat will depart around 09:30. You’ll head to the Koh Rang area first, this will take around 75 minutes. Then you’ll have roughly 45 minutes snorkeling in each of the three different spots around Koh Rang. During this time lunch will be served aboard the boat. Then you will head towards Koh Wai for a final stop, before arriving back in Bangbao around 17:00. You’ll be back at your resort around 17:30 – 18:00. And will be ready for a big dinner. Half day trips are possible but are best done by speedboat. These usually skip the islands near Koh Rang and instead visit Koh Klum, Koh Wai and Koh Laoya. Koh Laoya is a private island with beautiful white sand beach. The big boats don’t go there, so it’s always a good option of you want to avoid crowds during peak season. Every snorkeling trip include free transfer to/from your hotel and the boat in the price plus a lunch of some description. On the wooden boats food will be cooked onboard and you’ll be able to eat as much as you like. ( Vegetarians will also be catered for – just tell the boat staff ) . On speedboats you’ll get a cold lunchbox of rice and Thai curry of some sort. Also included is a mask and snorkel. But if you have you own, then I’d advise bringing it as those supplied on boats are lower quality are are often well worn. Fins aren’t included in the ticket price but usually you can hire them for an additional 100 Baht on Bangbao pier. In 2014, an entry fee for the Marine National Park began to be charged. This isn’t included in the cost of snorkeling ( or dive ) trips. It only applies to the trips going to the Koh Rang area. Islands such as Koh Wai, Koh Mak and Koh Kood aren’t within the Marine National Park boundaries, so are exempt. The fee is 200 Baht for Adults and 100 Baht for children. ( Thai nationals pay 40 / 20 Baht respectively ). This is usually collected by National Park staff on Bangbao pier before you get on the boat, but sometimes they board the boat when it nears Koh Rang. So, don’t forget to take money to pay this. Sattra Tour, Attipol Tour & Permpoonsub. Think of them as the budget carriers of Koh Chang’s boat trip world. Big converted fishing boats, good, freshly made basic Thai food lunches and stops at the main snorkeling islands for around 600 – 700 Baht/person. If you want to see fish, want to be well fed and don’t mind that the boats will often be busy – especially at weekends – then any of these companies is fine. Bangbao Boat Speedboat, Permpoonsub Speedboat & Kai Bae Hut Speedboat. The benefits of taking a snorkeling trip by speedboat are less travel time, more time in the water, fewer people on the boat. Balanced out by no toilet, no freshwater shower, no buffet lunch or tea making facilities and no deckchair to sit in. Figure on around 800 – 1,100 Baht/person for a day trip by speedboat to the main snorkeling islands. If the weather is a bit windy be prepared to be bounced about a bit. The boats can also be rented privately if you’d prefer a private trip with a group of friends or family. Permpoonsub now also run a half day – either morning or afternoon – trip by speedboat to Koh Khlum, Koh Wai and Koh Laoya. A good option if you want to avoid the large tour boats and visit quieter islands where you can snorkel or swim in peace. Sea Adventures . The only sailing ship currently operating day trips, this catamaran cruises slowly down the west coast of Koh Chang to the small islands off Kai Bae and Klong Prao beaches, then heads back to Klong Son bay for a spot of snorkeling at two rarely visited small islands. If a day lazing in the sun, enjoying good food and slowly watching the beaches of Koh Chang go past is for you, then take this trip. You won’t get to see many of the outlying islands closely though but it’s a chance to be on a large catamaran for a day. Thai Fun. You’ll see a lot of different islands on this 1,500 Baht day trip aboard a large white vessel. But it is a long day on a boat, you’re looking at around 10 hours or so if you are staying on White Sand Beach. This is more of a nice sightseeing cruise with a bit of snorkeling thrown in rather than a trip you’d take specifically if you wanted to snorkel. Dive Companies. It’s also worth noting that all dive companies will take snorkelers on the boat. However, there will be a compromise as the best dive sites aren’t necessarily the best for snorkeling. But it’s worth bearing in mind if some of your family want to dive and others want to snorkel – you can all go on the same boat. Plus dive companies will have far better equipment – mask / snorkel and fins – for you to use. Private Boat Trips. These can also be arranged through most tour companies. These are a good option if you’re traveling with with extended family or in a group of friends. Figure on around 6,000 – 10,000 Baht / day for a day trip by wooden boat from Bangbao. 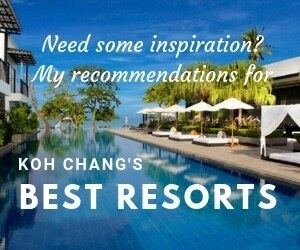 Or from around 6,500 – 15,000 Baht for a full day by speedboat from Kai Bae or Bangbao. 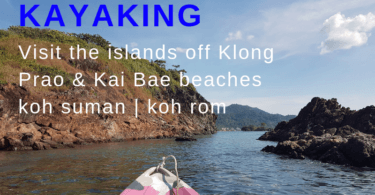 There is an option to avoid the crowds and take a private boat trip to a couple of islands off the north coast of Koh Chang. This is run by https://fishing-snorkeling-koh-chang.com and is ideal for large families or groups who want to avoid the crowds in high season. To rent the boat privately is from 9,500 – 11,500 Baht total. Depending on the number of passengers. ( The maximum is 20 ) This price includes a lunch and fruit on board, drinking water, coffee, life jackets and snorkeling equipment. The islands to the south of Koh Chang offer a far better underwater experience than snorkelling off Koh Chang itself. But there are three main spots if you want to try spotting fish without taking a boat trip – Pearl beach; Chai-chet headland and the cove at Cliff Cottage, Bangbao.